Hey! We are Business Time Entertainment. Los Angeles is our home, but we can be found traveling coast to coast bringing joy and excitement through live music. We’re addicted to crafting music in a thoughtful way. And while packing a dance floor is our trade, meeting people and making friends is our passion. 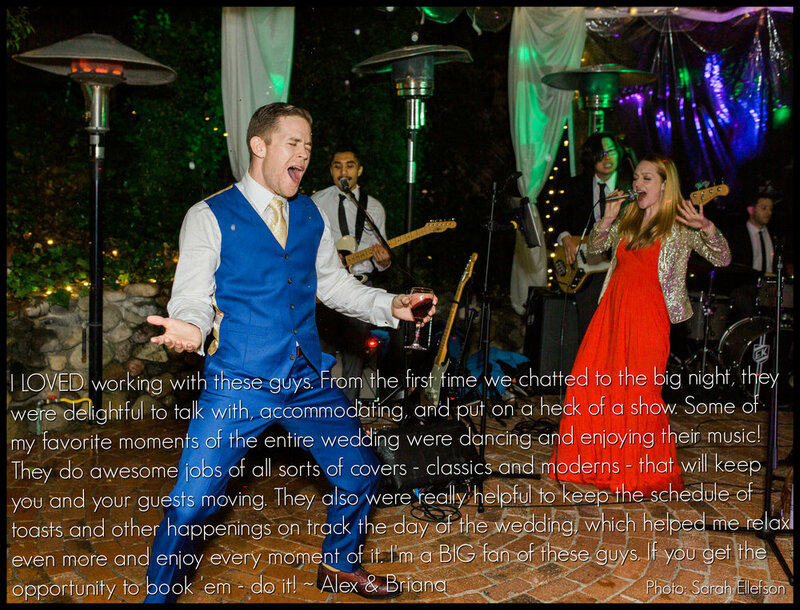 Be it a sunny wedding on the pacific coast, an intimate candle-lit ceremony in the mountains, or an all-out party in a grand ballroom, we want our band to be a part of your story. Click Here to see us perform!